Spain, Portugal and the Canary Islands offer superb windsurfing and all a few hours flight time from the UK, making them perfect for everything from quick getaways to long holidays. Famed for consistent winds and offering conditions for everyone, beginner to pro, we guide you through the area with advice from Jane Faughan of Sportif Travel and Marcus Bull from Planet Windsurf on where’s best for who and what and we provide micro guides also to some of the best windsurf centres in the region. Jane Faughan from Sportif Travel and Marcus Bull from Planet Windsurf give us their guide to some highlights of the Iberia and Canaries region. Sotavento offers stunning, sandy beaches, flat water and a shallow, tidal lagoon with world class slalom and freestyle sailing conditions. The PWA World Cup venue for 33 years, it is one of Sportif’s most popular destinations with centres and hotels directly on the lagoon and over 450 boards and 1000 rigs. Costa Calma, 10 minutes north, is sheltered with free shuttles to the lagoon. To the south, Risco del Paso, is the location for Tom Brendt’s windsurfing clinic 11-18 July 2018 and ideal for groups. Families are well catered for with junior equipment and lessons from 8 years, kids clubs plus there’s SUP, beach sailing and kitesurfing. Lanzarote is a great location for families, solo travellers and those wishing to find a combination of flat water and more challenging conditions in one spot – perfect for mixed ability groups. In Costa Teguise, beginners and children can practise in the shallow, sandy bay, whilst the more advanced, wind foil and wave sailors can venture further out. Tom Brendt windsurf coaching camps take place in June. A UNESCO Biosphere reserve, Lanzarote offers a range of activities from waterparks, golf, paddle-boarding and surfing to hiking and cycling, with a choice of self-catering apartments, all-inclusive or luxury 5* beach hotels. El Medano is our pick for year round windsurfing for advanced level windsurfers with choice of 3 spots and high end, rental equipment. The sailing spots are: Harbour Wall for entry level waves, South Bay for freeride, bump and jump, chop and swell and Cabezo for experts only. The centre stocks over 115 of the latest freeride/FSW and wave sails and 95+ boards from 8 different manufacturers, with premium masts and full carbon booms for you to try out. Additional activities include SUP, surfing, body boarding, mountain and road biking and excursions. 1 week 3* Hotel on the beach including return flights starts at £499. Looking for the perfect place to enjoy great windsurfing without the crowds? Then the Costa Calma area of Fuerteventura is perfect for you. 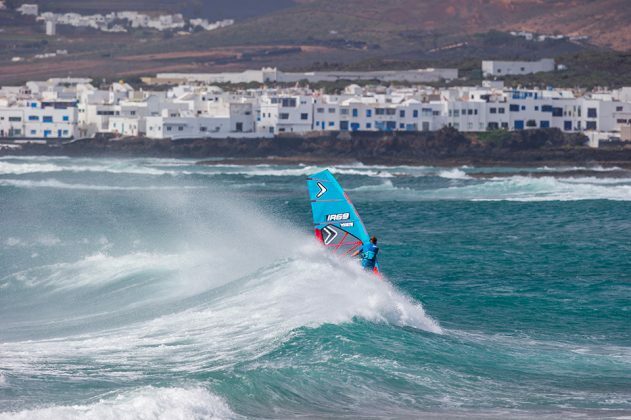 Located at what we consider to be the very best windsurf spot in the Canaries, with the cleanest wind, Costa Calma offers one of the best blasting/speed sailing spots in Europe. The cross-offshore direction, with no obstructions behind, creates glassy flat water that is not as crowded as the better known Fuerteventura destinations of Sotavento and Corralejo. With great accommodation options for a range of budgets, Costa Calma is ideal for your next windsurf holiday. The windsurfing spot at Golf de Roses in Spain’s Costa Brava is ideal for learning to windfoil with a very constant thermal wind. The team at the centre here have been passionate about the sport since it started to take off and were one of the first to offer foiling lessons and rentals. 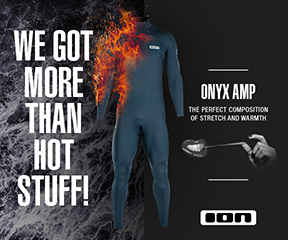 Windfoiling is conquering the world of watersports and this centre is at the top of the game, stocking the latest equipment and even offering foiling camps. This area of Spain also offers a unique cultural holiday experience with quaint old towns, fabulous tapas bars, restaurants and small boutique hotels. A brand new boutique sports hotel, built by windsurfers for windsurfers, just a few steps away from the water, makes West Portugal our new favourite destination. A pristine beach, lying within a horseshoe-shaped bay offers flat water for beginners, while a wave playground for the more advanced is found further down the bay. The hotel’s incredible sports centre offers the latest equipment, lessons for both adults and children and free rescue and recovery. Aside from windsurfing, this great destination offers beautiful landscapes, rich historical sites and a range of other activities for the whole family to enjoy. Speak to a windsurf holiday expert on 01273 921001 or get a real-time instant quote via Planet’s innovative website www.planetwindsurfholidays.com Full ATOL & TTA protection.